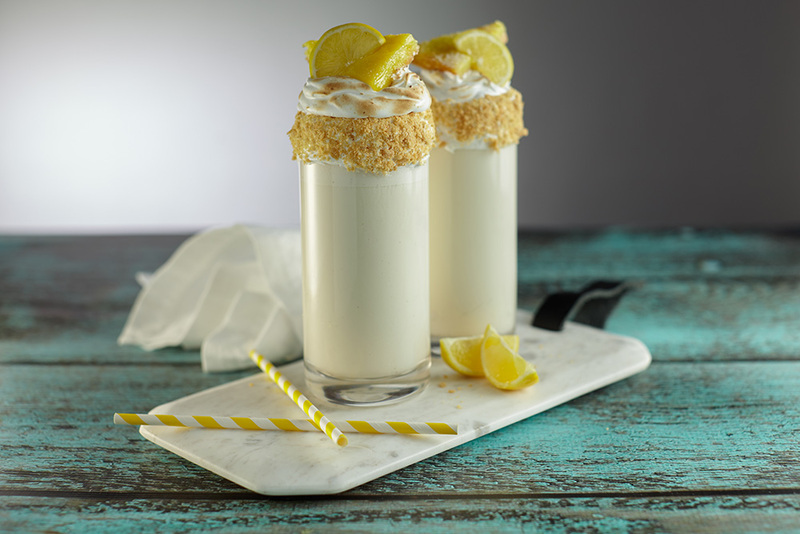 Sparkling lemonade in a tall, meringue and pie-crumble coated glass, topped with a giant scoop of vanilla bean ice cream, a slice of lemon bar and plenty of meringue frosting—bruléed for true pie appeal. Scoop three #12 scoops of Blue Bunny Simple Scoops Vanilla Bean Ice Cream into prepared glass. 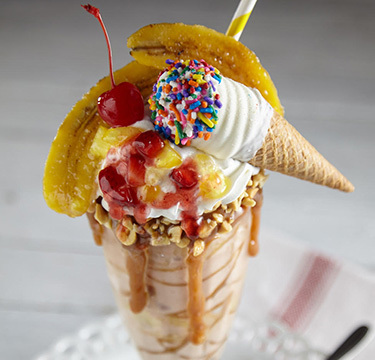 Top with sparkling lemonade. 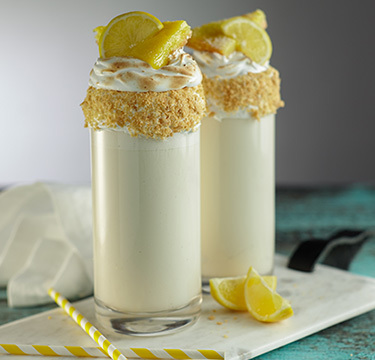 Top sparkling lemonade with ¼ cup meringue and brulèe it. Place lemon bar over brulèed meringue and serve immediately. Substitute marshmallow crème for the fresh meringue if desired.